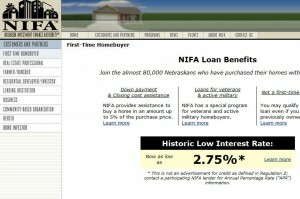 Are you thinking of buying your first home in Nebraska? 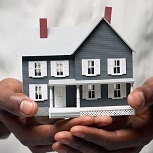 Would you like information on a multitude of programs available to help you purchase that first home? If so, read on to find out how the state of Nebraska provides programs for its residents who are first time home buyers and need help with the down payment and closing costs. There are also local programs available, there are Federal grants available, and the USDA has other first time home buyer programs available. The program amounts can be in the thousands of dollars. It will be well worth your time to educate yourself about the assistance and incentive programs available to Nebraska residents to see which ones you may qualify for. The agency in Nebraska that provides assistance is The Nebraska Investment Finance Authority. While many states will provide 3% towards the down payment, Nebraska offers a loan program in which you can receive up to 5% of the first mortgage amount to help with down payment and closing costs. To find out more, please visit the Nebraska Investment Finance Authority website page specifically describing all the programs. You can read about the various programs offered by going to this page. The First Home Plus Program provides a low-interest rate first mortgage loan for first-time homebuyers purchasing a home within the State of Nebraska. You must be a first-time homebuyer; who is someone that has not owned and lived in a home within the past 3 years. There are maximum income and purchase price limits that apply to all homebuyers. You must live in the home as your principal residence. The First Home Focused Program provides a low-interest rate first mortgage loan for homebuyers purchasing a home in Nebraska that is located within a federally designated target area. You do not have to be a first-time homebuyer if you purchase a home within a target area. There are maximum income and purchase price limits that apply to all homebuyers. You must live in the home as your principal residence. The First Home Focused interest rate is subject to change from time to time. Homebuyers have the option of choosing a government or conventional loan product. The Homebuyer Assistance (HBA) Advantage Program combines the benefits of a first mortgage loan with a second mortgage loan for homebuyers purchasing a home within the State of Nebraska. 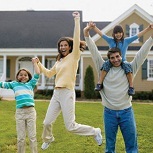 The second mortgage loan provides down payment and closing cost assistance. You must be a first-time home buyer; unless the home is located in a federally designated target area or you meet the definition of a qualified veteran. 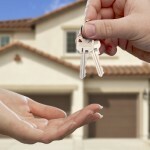 A first-time homebuyer is someone that has not owned and lived in a home within the past 3 years. 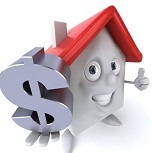 There are maximum income and purchase price limits that apply to all homebuyers. You must live in the home as your principal residence. The second mortgage loan provides assistance in an amount up to 5% of the purchase price of the home. Homebuyers must make principal and interest payments on the second loan. NIFA requires the homebuyer to have a minimum investment of $1,000. “MISSION STATEMENT: Taking a family’s dream and making it a reality through housing opportunities. The Community Economic Development Department (CED) focuses on providing housing and business opportunities within the Central Nebraska Community Services 21 County Service Area. “Helping people, changing lives, and making communities a better place to live.” Mid’s mission is accomplished one house at a time through programs administered by the Housing Department. These programs promote safe, decent, affordable and appropriate housing for low to moderate income individuals, families and homeowners. Purchase existing homes, rehabilitate to meet local building costs and the Nebraska Department of Economic Development Rehabilitation Standards, and provide downpayment assistance to first-time home buyers to purchase the homes. Administer programs providing loans or grant to allow homeowners in rehabilitating their houses. “The Urban Development Department funds programs, administered through NeighborWorks®Lincoln, that help moderate-income people become successful first-time homeowners. “NHR’s purpose is to provide affordable low and moderate-income housing opportunities for first-time buyers in the State of Nebraska. It achieves this purpose by encouraging more homebuilders to enter and/or expand into this market by increasing the supply of affordable lots, and arranging attractive financing packages for qualified homebuyers. In essence, NHR’s mission could be summarized as enabling small builders to serve first-time homebuyers through creative use of all available resources, public and private. “The Homeownership Opportunity Program provides assistance for the purchase of existing or newly constructed single-family homes. The funds are available to assist individuals and families with closing costs, down payment assistance, and/or rehabilitation of the home. Technical assistance is provided to applicants with regard to potential financial institutions with the best interest rates, inspections of existing properties and the feasibility of purchasing these homes. Income eligibility guidelines are based upon a maximum of 100 Percent (100%) of Area Median Household Income for various family sizes as established for each county by the Nebraska Department of Economic Development. All applicants are required to secure a first mortgage from a primary lender. BVCA has experience with many local financial institutions, USDA Rural Development, and Nebraska Investment Finance Authority (NIFA) loans. OHA HOP offers invaluable information that will help client’s to overcome budget obstacles, save money and learn mortgage and home buying basics. Begin now the process of owning the home you’ve always dreamed of. This entry was posted in Down Payment Assistance, First Time Home Buyer Grants, First Time Home Buyer Info, First Time Home Buyer Programs and tagged Blue Valley Community Action Inc, Nebraska USDA, Omaha Housing Authority. Bookmark the permalink.